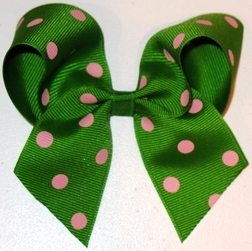 This cute hair bow is made with grosgrain dotted ribbon and is 4 inches across. Perfect for everyday and school wear. By My Bowdacious Designs for Caroline Bradlee. 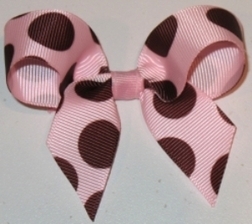 As each bow is custom made upon your order, please allow 2 to 3 weeks for crafting and shipping.